In the present publicity excess on the American presidential elections, Trump versus Hillary, I can’t help fantasizing about the ideal president. What about a landscape architect for president? Well, it has been done before, and very successfully… Actually all first presidents were gardeners/farmers, using their own garden to experiment with and express their ideas on what the future America should be. Each in their own way made what Adams called “the garden of a patriot”, where the mundane activities of sowing and planting became imbued with the idea of nation building. The very first president George Washington was a professional surveyor, discovering firsthand an ability to identify and select the best plots of land for purchase, an especially important consideration in colonial America, where land equaled power. Also, he studied and implemented improved farming methods throughout his life, an initial interest driven by his own needs to earn a living and improve his family estate Mount Vernon. He had a strong interest in landscape design and architecture throughout his life, and after returning home from his service in the Revolutionary War, he redesigned the landscape at Mount Vernon, adopting the less formal, more naturalistic style of the 18th century English landscape garden. Based on a plan gifted to him by Samuel Vaughan, he reshaped walks, roads, and lawns; cut vistas through the forest, and planted hundreds of native trees and shrubs. Eighteenth-century visitors to Mount Vernon were delighted by bountiful offerings of fresh vegetables and fruits, and reveled in after-dinner walks amongst all manner of flowering plants. From the beginning, trees had been emblematic of the new nation, and when in 1783, with liberty at last achieved, Washington could return to Mount Vernon, his first act was to embark upon large-scale plantings of native American trees. He wrote to friends and relations all over the 13 states to request specimens of indigenous species – balsam firs from the north, eastern hemlocks and white pines from the north-east, live oaks and magnolias from the south – which, added to the cockspur thorns, redbuds and other trees that grew wild on his Virginia estate, would form an image of the new nation in microcosm. Where earlier colonists had spurned native species, Mount Vernon was to become what Andrea Wulf calls “the first truly American garden”. After Washington, John Adams was elected president, the first president to live in the White House, which was then, like most of Washington, surrounded by mud flats. However, apart from adding a vegetable plot he did not spend enough time there to alter the grounds. But at his retirement he returned to his family farm in Massachusetts, where he spent his time farming. “I begin now to think all time lost that is not employed in farming; innocent, healthy, gay, elegant amusement! Enchanting employment! How my imagination roves over my rocky mountains, and through my brushy meadows.” Much of his land was farmland, with ornamental plants near the house. Adams was no landscape gardener on the scale or with the intensity of George Washington or Thomas Jefferson; the only large intervention he made was the creation of a ha-ha, creating the effect of a long, uninterrupted view. He proposed naming his farm Peacefield, for the sense of peace he enjoyed there, but also in commemoration for the peace he had helped to win for his country. Where Adams saw the urban entrepreneurial elite of merchants and traders as the key to the nation’s prosperity, the third president Thomas Jefferson thought the greatest service a man could render his country was to introduce a useful plant to its culture. Since his travels to Europe, Jefferson had been an avid collector of books and architecture and gardening, which he used to shape the Palladian splendour of his estate Monticello. Jefferson was followed up by James Madison, who, after his term as president, retired to his Virginia estate Montpelier, where he managed a large plantation and devoted himself to the preservation of the environment by conserving timber resources and once-fertile land that had been depleted from overuse. In 1818 he made a prescient speech on the subject, filled with advice for living off the land without destroying it. Humankind, he said, could not expect nature to be “made subservient to the use of man”: man, he believed, must find a place within “the symmetry of nature” without destroying it. His garden, like those of others laid out by the founding fathers, remains today as proof of his dedication to the natural world. My personal favourite is Jefferson. Although the title landscape architect had not been created before his death in 1826, he was certainly qualified for that appellation. Not only did he design his estate Monticello and his summer house Poplar Forest, but with his design for the University of Virginia he created the prototype for the American University, he played a large role in the design and realisation of the city of Washington and established the grid by which means the American wilderness was colonised. Andrea Wulf (2011) Founding Gardeners. The Revolutionary Generation, Nature, and the Shaping of the American Nation. Letters of John Adams Addressed to His Wife, ed. Adams, 2:139. “Address to the Agricultural Society of Albemarle, Virginia” (1818). Whatever happened to the garden? “The art of the garden is dead,” pronounced the French garden designer Achille Duchêne in 1937. Was it? And is it now? If we take the thriving industry around experience and lifestyle, where the garden coexists happily with watches, kitchens and interiors, it is alive and kicking. But it is having a hard time as the most basic expression of landscape and nature, within the profession of landscape architecture. Although nobody denies its roots in garden design, ever since landscape architecture began to settle as a grown-up profession, the position of the garden has been under attack. The garden as a design problem seemed unable to stand its ground against the large issues of regional and recreation planning, dealing with the social and environmental consequences of advancing urbanization. But of course it is not a matter of the garden like a Calimero as opposed to the ‘large issues’. The skill of designing a garden – the ideals, the art and the craft – should be part and parcel of the way of addressing the large issues. 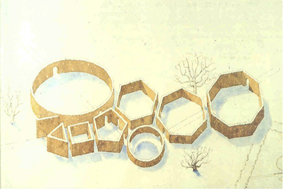 In 1945 the Danish landscape architect C. Th Sørensen designed the Musical Garden for an urban park in Horsens, at the surface a sterile exercise in geometry, but in reality an extraordinary range of spatial variations. Sørensen himself described the design as “the best I have designed, something that gives the mind an inexplicable joy.” Clearly he saw gardens as an art form, but he translated these geometric exercises also into large landscape projects, like the Kongenshus Memorial Park (1945-53). 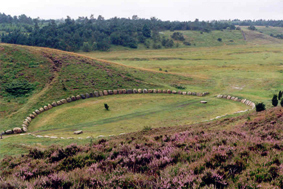 In the design his analysis of the natural basic forms of the heath landscape concurs with the visual power of the geometric forms. 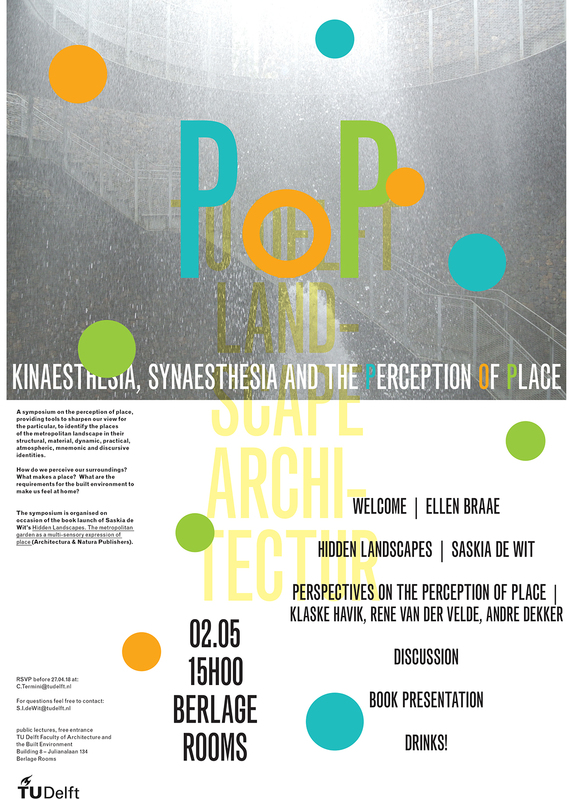 The garden as an experiment for landscape architecture. And what about the baffling similarity between the axial composition of Vaux-le-Vicomte (1656) and the 19th-century Paris of Haussmann? Clearly the lessons learned within the safe playing ground of the garden were taken well into account when the need arose to control the grim reality of traffic and hygienic problems and violent civic uprisings, following the advice of Abbé Laugier, who said in 1775: ‘Let the design of our parks serve as the plan for our towns.’ The design for Versailles (1661) gives a nice insight into how the transition was made from garden design into urban design. I am aware that the present day metropolitan landscape is characterized more by instable and dynamic processes than by the compositional logic of the classical city. System theory models seem to be better applicable than rational plans and spatial designs. However, if we would apply these models and allow the metropolitan landscape to arise as a logical consequence of integrating sustainable systems and processes, the spatial quality of our living environment would get lost in the process. The core business of a landscape architect will always be the creation of spatial compositions, however large the shifts in context and problematique, and what better laboratory and experiment is there then the garden? A laboratory other design professions don’t have. We are lucky to have this, so let’s start making better use of it.